Check out our forum. A discussion about Diamonds. This is an extremely difficult ring to capture with the camera. 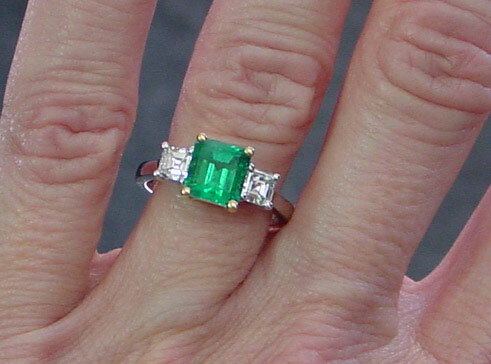 The color of the Emerald is bright, vivid green- in person. The photos do it no justice. Even the video merely scratches the surface. The Asscher Cut diamonds are gorgeous as well. Total "Hall of Mirrors" look.